A newly discovered mural is one of many in 12 of Afghanistan's famed Bamian caves that show evidence of an oil-based binder. The binder was used to dry paint and help it adhere to rocky surfaces. 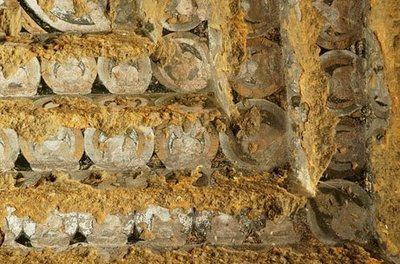 The murals—and the remains of two giant, destroyed Buddhas—include the world's oldest known oil-based paint, predating European uses of the substance by at least a hundred years, scientists announced late last month. 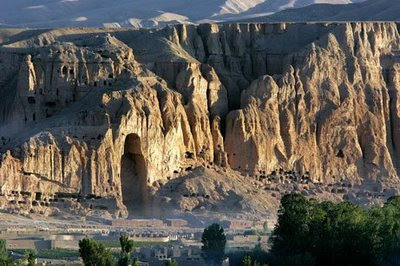 Researchers made the discovery while conducting a chemical analysis as part of preservation and restoration efforts at Bamian, which lies about 145 miles (240 kilometers) northwest of the Afghan capital, Kabul. 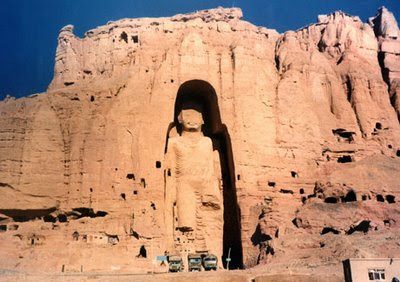 Seen in a 2005 photo, a towering alcove in Afghanistan's Bamian Valley cliffs shows the former home of a giant Buddha statue. Dating to between the fifth and ninth centuries A.D., the statue was one of a pair destroyed by Taliban officials in 2001. 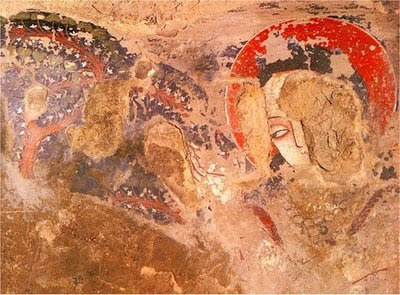 Researchers have found that the paint used on the Buddhas, along with murals in 12 of 50 painted Bamian caves, contained oil-based binders—the world's oldest known examples of oil paintings. 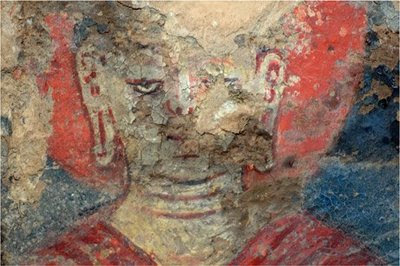 A Buddhist mural dated to around the seventh century A.D. is one of many in Afghanistan's Bamian Valley that were recently found to contain oil- and resin-based paints. The use of the substances at such an early date is a surprise, since they require sophisticated knowledge of chemical properties, scientists say. Oil is used in paints to help fix dyes and help them adhere to surfaces. It also changes a paint's drying time and viscosity. Europeans began using oil in their pictures by about 800 A.D., but the new research on the Central Asian pushes back the onset of oil-based painting by at least a hundred years. Researchers hope to find even earlier examples by studying other Central Asian sites.